ITOO Special Risks is an underwriting management agency (UMA) focusing on all forms of liability and casualty insurance. ITOO was born out of Hollard’s Liabilities and Special Risks division and underwrites on the Hollard Insurance licence. ITOO’s specialist products set us apart in the liability and special risks market. Working only through brokers, we provide a range of niche insurance products to corporate clients and professionals. Visit www.itoo.co.za for more information. 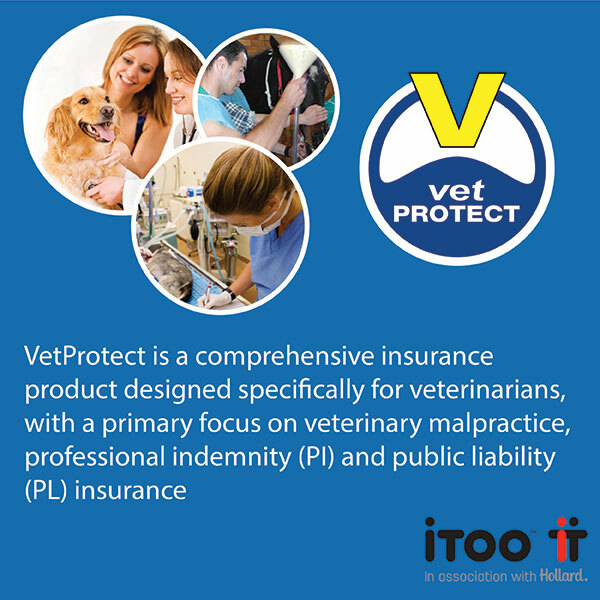 VetProtect is a comprehensive liability offering from ITOO that provides insurance to vets against claims of veterinary malpractice, professional indemnity, public liability, employment practice liability and commercial crime. The product is endorsed by the South African Veterinary Association (SAVA). Discounts of up to 7,5% are offered if 75% of the vets in the practice are SAVA members. The VetProtect offering also covers all costs associated with legal representation at any counsel complaints. We are able to offer limits of up to R10 million. Vet Protect is run through an exclusive agreement with a sole broker, Leonie Delgado Platinum Portfolios CC (Tel: +27 (0)11 662 1204 / Email: vetprotect@myownbroker.co.za).